Please keep in mind as you read this article that we are focusing only on the problems and complaints of snoring mouthpieces and, as such, this will be a very negative article. For a more balanced picture you should also see the other articles on snoring mouthpieces. Snoring mouthpiece – what is it? 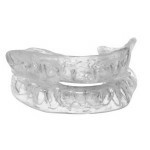 Snoring mouthpiece is an oral appliance designed for people who suffer from snoring. 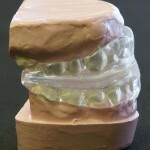 With the help of opening the airway, snoring mouthpiece is one of those ways towards solving snoring problems. However, the device is not a perfect cure for snoring and it has various underlying drawbacks. Though mouthpiece is an inexpensive option for snorers making it seem the ‘perfect’ selection, its effectiveness depends on what kind of a snorer you are. The cure will vary from person to person as it is dependent on each individual’s reason of snoring. One of the problems that various users criticize about snoring mouthpieces is that it needs to be replaced every year. This is due to the flexible plastic material it is made of. If not replaced, it can cause major cleanliness issues that can lead to other mouth problems. This is not really very apparent and talked about, but due to hygiene reasons is a very important factor to watch out for as different manufacturers might either claim different durations of usability or not talk about it at all. As inexpensive as this device seems, one highlighted problem is that a vast number of users have found snoring mouthpiece to be uncomfortable. Those who have experienced this method to stop snoring feel that they have entered a discomfort zone. The problem arises due to the fact, that this device is not custom fitted according to an individual’s mouth, which is the case with the cheaper versions of snoring mouthpieces. Many users feel absurd when wearing it, and others are not happy with the feeling of uneasiness when the device is applied. The product cannot be returned once opened, and there is no guarantee that it is going to solve the snoring problem for you as every individual has a different comfort level! That said, one has to be fair and note that the more expensive versions can be completely moulded to be fully customized for the individual and the discomfort can be gotten over with over time by getting used to wearing it. Consumers have complained that the device has many side effects. Users, who have tried it, say that they have gone through the trouble of undue salivation. Others say that they suffer excessive dryness in their mouth. Tooth tenderness, jaw discomfort and sore mouth are other problems caused by this device. 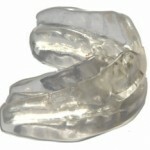 Snoring mouthpiece is not a hundred percent snoring cure. Snoring, to be stopped completely, is only done by wearing the mouthpiece every night or whenever one tends to sleep. Thus, numerous users find it impractical. Therefore prior to your purchase of this particular snoring device be aware of what is the real cause of your snoring and be prepared to have some level of discomfort while your body gets used to wearing the snoring mouthpiece. As mentioned in the beginning, this was intended to be a rather negative article looking purely at the problems and complaints to do with snoring mouthpieces. So, to be fair, browse through this snoring solutions website and also see other articles on mouthpieces for snoring or other snoring devices and cures. 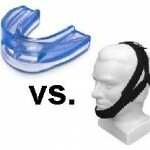 What’s better, a snoring mouthpiece or an anti-snoring chin strap?